Each year that passes makes me infinitely more excited to share so many new recipes with you guys. I’ve got a few doozies already lined up to share with you next year but for now, how about your favorites from this past year? Lined up from #1-10, these are the recipes you loved most that I posted in 2014. 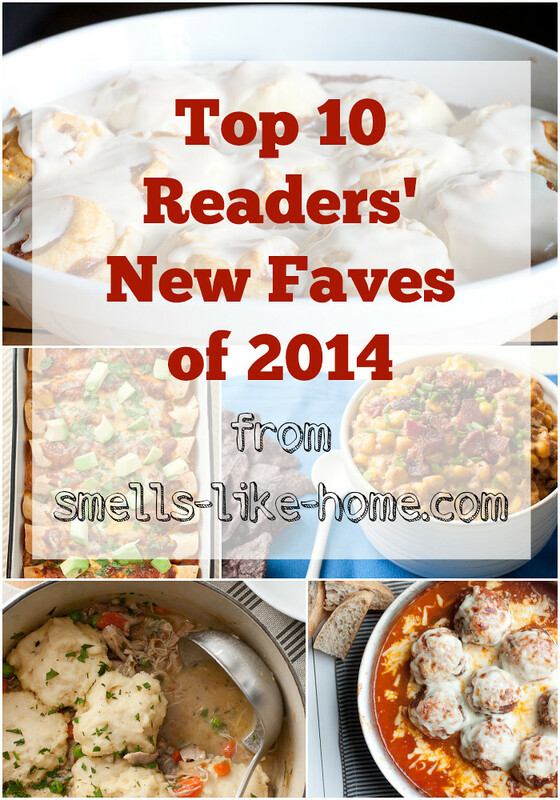 Get your napkins ready and heat up the oven ’cause you’re gonna love this list! Grilled Chicken Fajita Burrito Bowls. Clearly, my love for all things Chipotle rings true with you guys as well with this recipe. 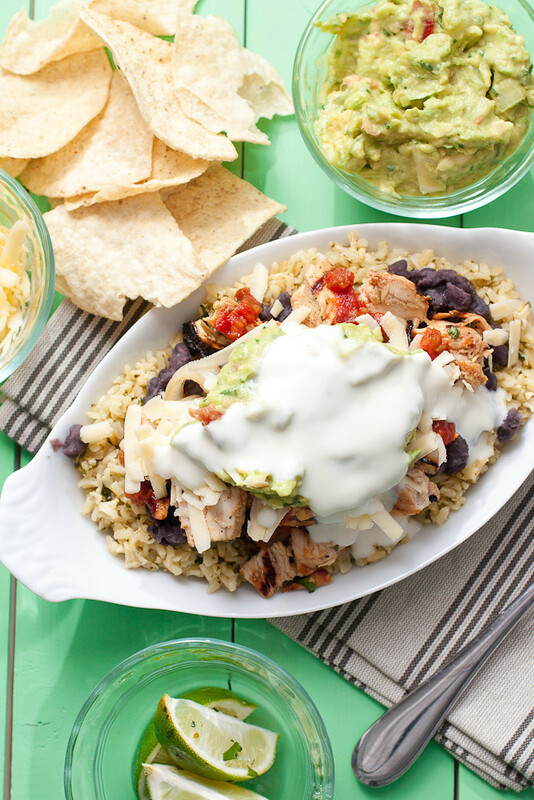 I’m a sucker for chicken burrito bowls AND for grilled chicken fajitas so I decided to combine the two earlier this year – what a hit! I also fixed up a killer salad in May with the same fajitas fixins and oh boy how we scarfed that salad down! Classic Chicken and Dumplings. 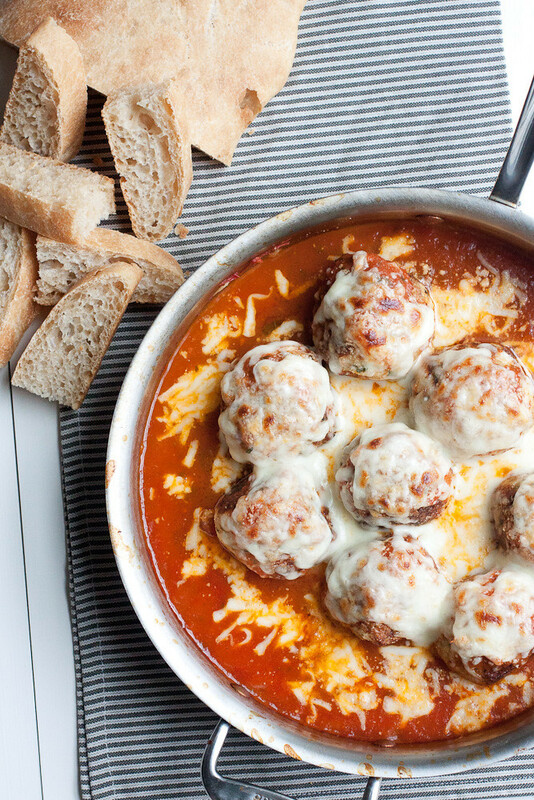 Who doesn’t love a cozy winter meal? You guys certainly do! 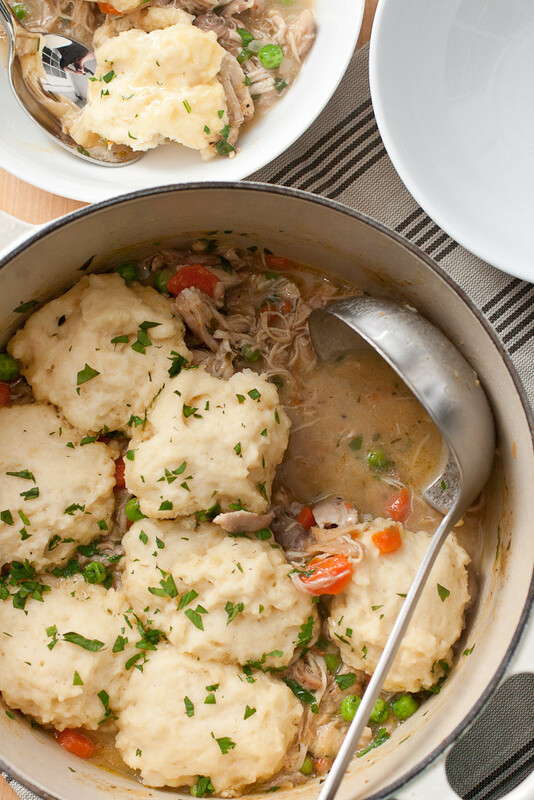 This chicken and dumplings meal is a classic Southern staple and it sure warmed up our Yankee bellies last winter. Those fluffy dumplings get me every time. Cilantro Lime Rice. 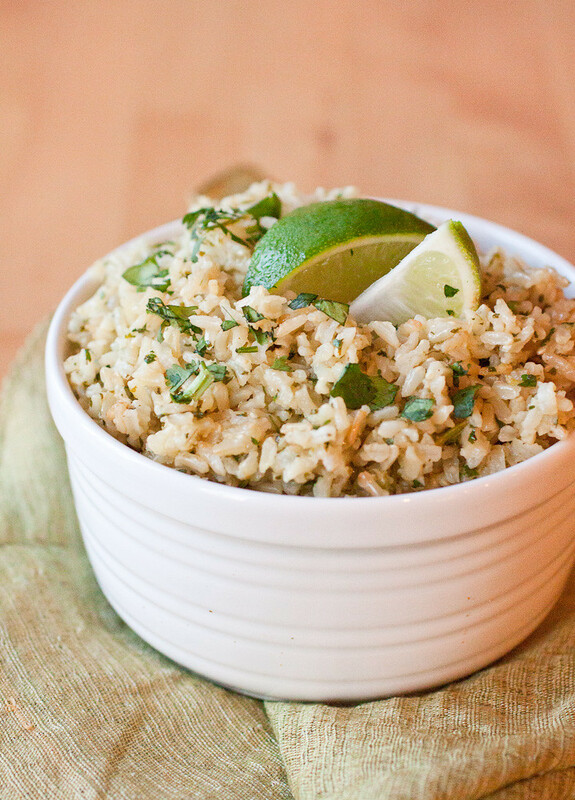 You guys loved this cilantro lime rice just as much as we did! It’s simple to prepare and makes a great Tex-Mex side dish or base for those grilled chicken fajita burrito bowls. I guess you’re all as tired of plain white/brown rice as I am! 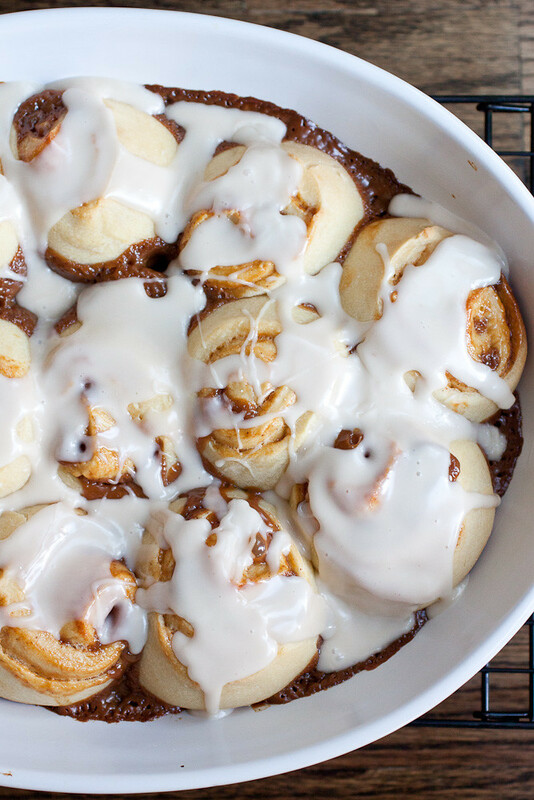 Dulce de Leche Overnight Cinnamon Rolls. It should come as no surprise to anyone that these overnight cinnamon rolls were a big hit with my readers this past year. Prepared up to 24 hours in advance of baking, these cinnamon rolls – filled this time with dulce de leche sauce, though a traditional cinnamon-sugar-butter filling is amazing as well – are perfect for a weekend breakfast or brunch with friends and family. I made them last New Year’s Eve and we both woke up in the new year knowing fresh cinnamon rolls were only about an hour away. Winner winner! 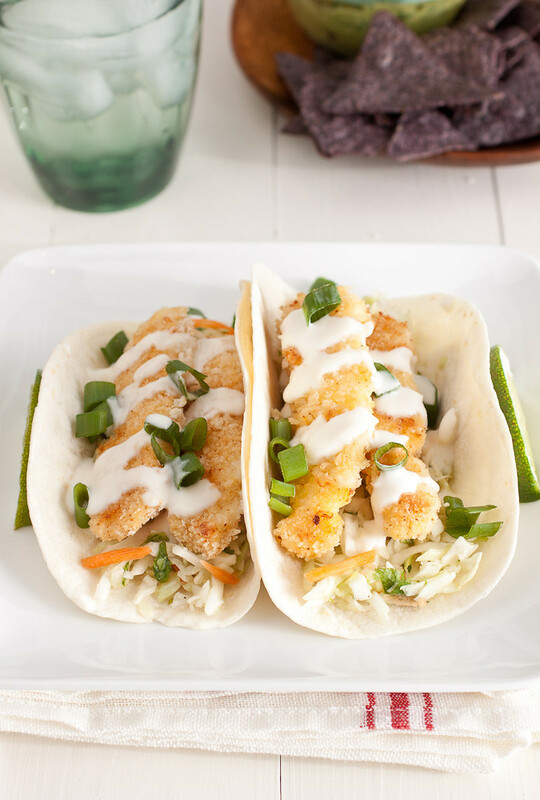 Crispy Baked Fish Tacos with Margarita Slaw. When it’s time to lighten up our meal rotation, crispy baked fish sticks are big in our house. And when I tossed some of my favorite margarita slaw on top and wrapped everything up in soft flour tortillas, you guys naturally flipped over them as much as we did. How could you help but not? Tall and Creamy Classic New York Cheesecake. 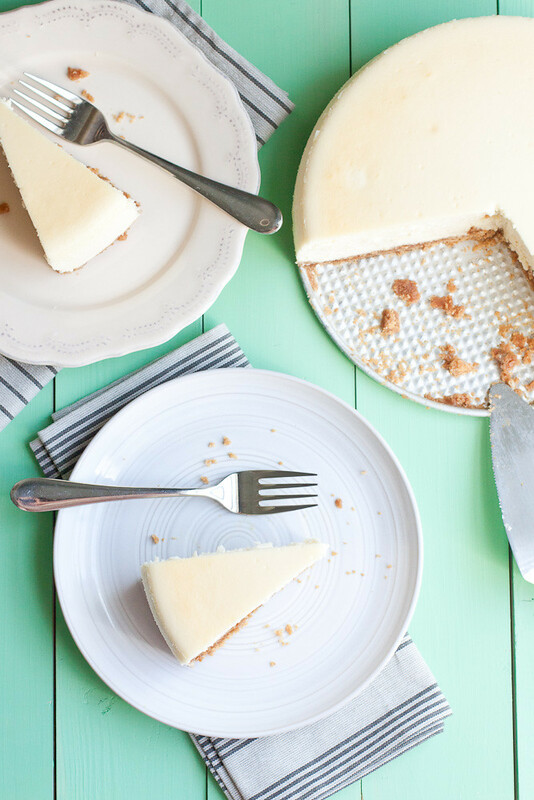 This cheesecake is far and away the best cheesecake I’ve ever made and from the comments you guys are leaving, I know it’s becoming a family favorite for you too. A classic New York cheesecake, this one will never, ever let you down. Home Canned Marinara Sauce. When life overloads you with tomatoes, make sauce! This home canned marinara sauce is as easy to preserve as it is to make. 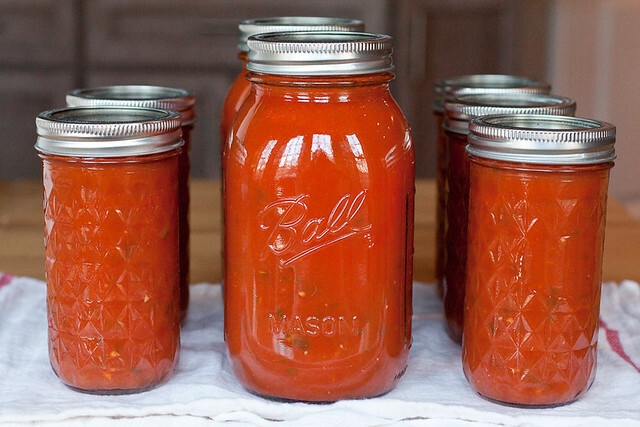 If canning isn’t your thing, the sauce can be frozen instead. Either way, you guys were certainly loving this one this year! 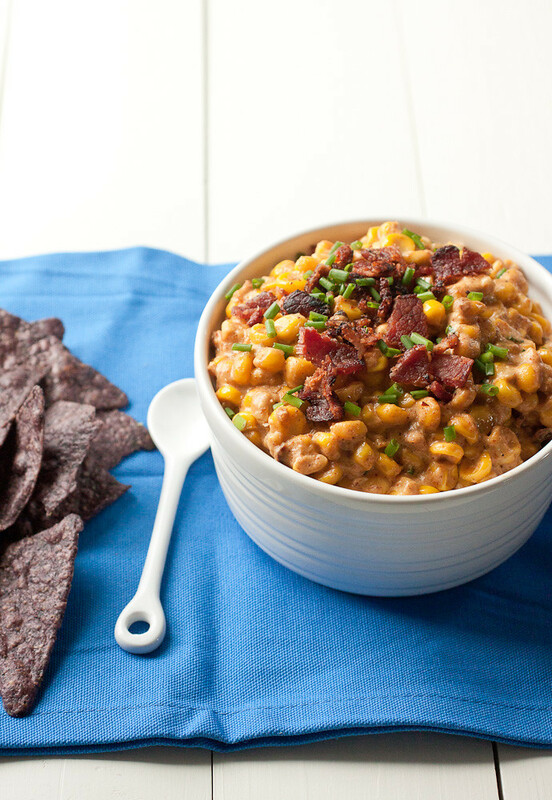 Slow Cooker Cheesy Corn, Bacon, and Jalapeño Dip. The dips I’ve shared with you over the years are without a doubt some of the most popular recipes on the site and this slow cooker cheesy corn, bacon, and jalapeño dip is no slacker indeed. 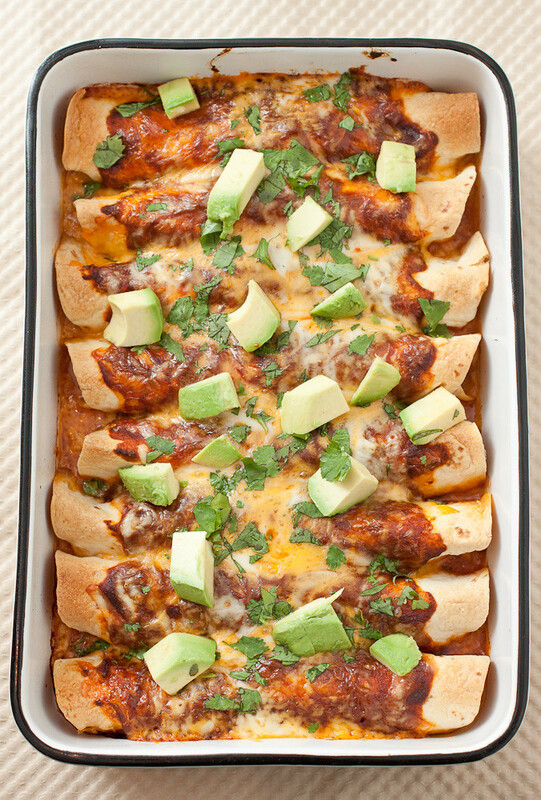 It’s perfect for parties, tailgating, game nights, backyard bbqs – you name it! – and since it’s cooked in the slow cooker/crock pot, your guests can keep dipping hot dip until it’s all gone.